University of Ottawa students now have easier access to a range of mental health services since SASS - Counselling and Coaching launched a new stepped service model. When they feel the need, students can now choose from seven therapy options, including a helpline, informative apps and podcasts, counselling sessions (via a walk-in clinic), an online therapy system, intensive group counselling or intensive individual counselling. This new service model was introduced on campus for the start of the fall term. More proactive and preventive, it has unblocked the SASS system and allowed it to respond faster and more effectively to student needs. “There’s no waiting list to meet a counsellor,” says Brabant. In putting this system in place, SASS was inspired by the “stepped care” approach created in Britain 20 years ago and adapted to the post-secondary environment by Professor Peter Cornish of Newfoundland’s Memorial University. To publicize this new University mental health approach, which will better integrate resources available on and off campus, SASS is holding an open house on January 28, 2019. Information sessions on the stepped care model will be available. Students will also be invited to take part in a contest to name this new mental health services system. Anxiety and stress are the most recurrent mental health conditions for postsecondary students. Problems are often linked with exams and academic performance. Going from high school to the next level may also be an issue, as students, newly arrived on campus, try to adjust to a new academic setting. It can sometimes be even more difficult for those who come from elsewhere in Canada or from abroad. Depression symptoms, lack of motivation, interpersonal conflicts, grief and low self-esteem are also common among students. Mental health problems tend to appear between the ages of 16 and 25, roughly the age group of students at the University. This is also the age group where students are the most reluctant to seek help. Either they have other concerns and put off looking for help or they think they don’t need help at all. Some also think that the problem will go away by itself. SASS has acquired an online therapy platform. 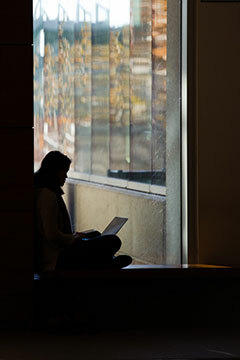 Therapy Assistance Online (TAO) gives members of the University community access to help online. SASS has also invested in translating many mental health resources, because few exist in French. A new website has been created with resources on mental health and well-being at the University. The most important change at SASS has been the introduction of a walk-in clinic. Students can now show up and have an appointment with a counsellor the same day. The Counselling and Coaching unit has 15 professional mental health counsellors to support students. Four of them are exclusive to student living in residences.